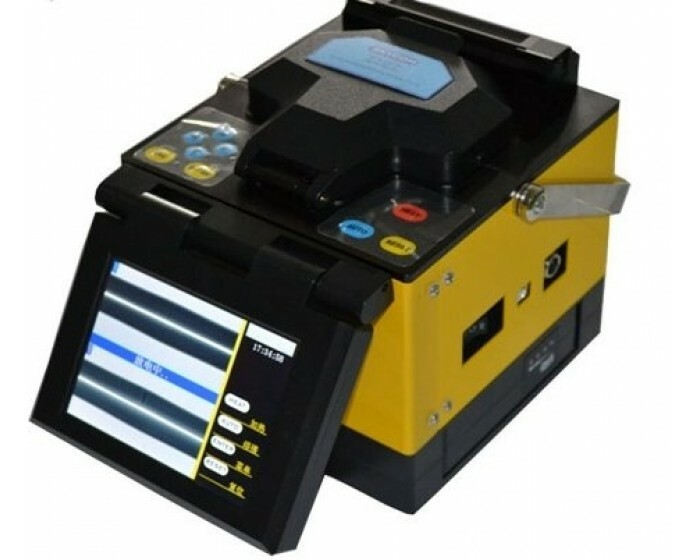 The FS02T Splicing machine is the ultimate in single core splicers with core and cladding alignments it offers many additional settings and features over the FS01 model. Accommodates all SM/MM/DS/NZDS fibres and boasts a 5.6" colour LCD display. It has numerous splice programs and easy user settings and a typical battery capacity for 160 splicing cycles. Its lightweight (3kgs) and perfect for onsite and offsite terminations comes with Cleaving Tool, Fibre Stripping Tool, Spare Electrodes, Cooling Tray AC Power Cord and Lithium Battery and a 12 month warranty.